The Mueller Elbow Support is designed for maximum comfort. The adjustable wraparound and velcro straps ensures a proper, compressed fit with minimal bunching and slippage. With the finest quality of neoprene, body heat is retained for increased circulation to relieve pain, promote healing, and keep joints flexible. 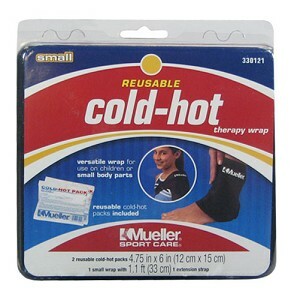 The Mueller Elbow Support is easy to put on and take off, making it great for players of all ages who are in need of an excellent elbow pain relief and support. 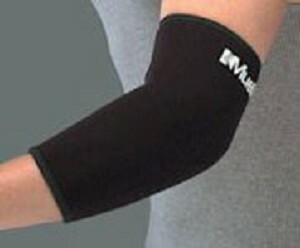 The Mueller Elbow Support fits elbow circumference up to 18` (45 cm). For more information on Beating Tennis Elbow or Training Aids, visit our Tennis Express Buyer`s Guide. 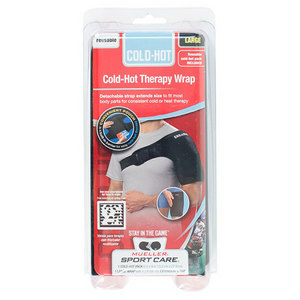 For a wider selection, see our collection of Sports Medicine accessories.